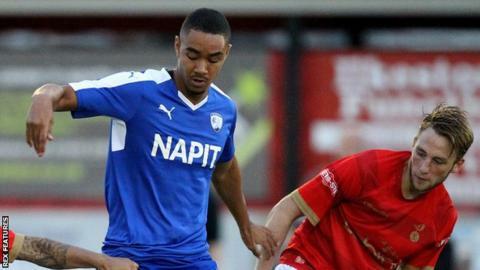 League Two side Stevenage have signed Chesterfield striker Byron Harrison on a one-month loan deal. The 28-year-old previously had a spell at Boro, scoring eight goals in 23 games to help them win promotion out of League Two in 2011 via the play-offs. Harrison joined Chesterfield from Cheltenham in January 2015, but has only made three appearances, all as a sub, for the League One club this term. He joins a Stevenage side under the caretaker charge of Darren Sarll.